Sagenitic quartz Satellite ring mounted in 9ct white gold black rhodium plated. Made in London. 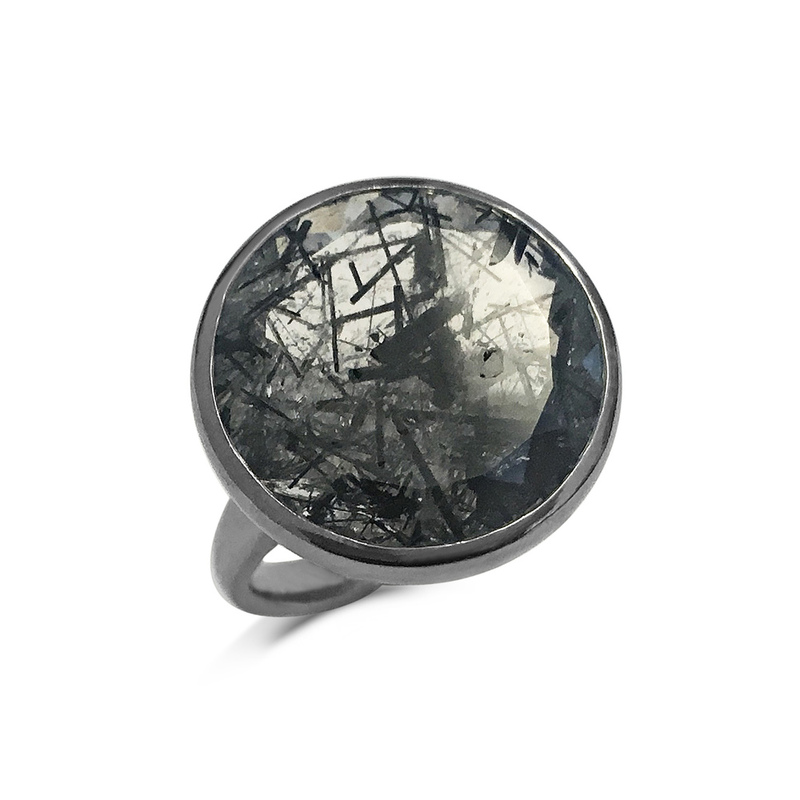 Sagenitic quartz Satellite ring mounted in 9ct white gold black rhodium plated.